Deciding to become a model or actor can be a stressful decision. We know how important it is to choose a modeling and acting center that is the right fit for your aspirations and lifestyle. At Barbizon, we want to help make your decision a little easier. So we’ve pulled together some of the most frequently asked questions from our model and acting students and their families over the years. From discovering what to expect and preparing for a career in modeling to learning more about the program at Barbizon, we hope you’ll find the right answers to all of your questions and decide that Barbizon is the right move for you. Don’t see your question answered here? Contact Barbizon and we’ll be happy to answer any additional questions. Call 1-888-999-9404 or email barbizon@barbizonmodeling.com. What types of things will I learn at Barbizon? Barbizon offers many types of programs including modeling, acting, and personal development with each having their own curriculum. You can visit our Barbizon Overview page to see what we offer or call the Barbizon in your area for more info. Each Barbizon is different in what they offer their graduates after finishing the Barbizon program. While we can’t guarantee job placement in any industry, we are constantly developing new relationships with industry experts and cultivating our thousands of existing relationships with industry professionals to bring opportunities to our graduates. And there is a reason why industry professionals prefer working with Barbizon, our graduates have the training that prepare them for the jobs. Your local Barbizon will be able to provide you more information on opportunities. How young is too young for my child to be thinking about modeling? The perfect age to begin training at Barbizon is any age at which your child expresses interest in improving his or herself. When it comes to self-improvement, sooner is always better than later, when bad habits may have already taken hold. You should be proud that your child has taken the initiative to follow through on his or her dreams. Since each Barbizon is different, contact the one near you to find out their age requirements. I would love to take classes at Barbizon, but I’m not sure I have the time. There is always time to do the things we most enjoy, and attending Barbizon will be one of the most enjoyable experiences of your life. 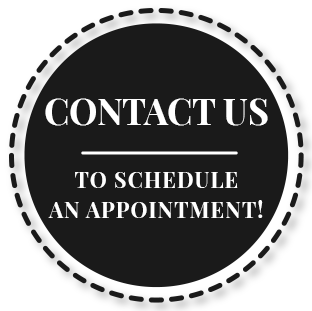 Barbizon has accommodating and flexible class schedules to suit any lifestyle. Barbizon classes are held on weekends so they never interfere with school. My child wants to attend Barbizon, but I’m not sure I can afford it. There are some things in life that you just can’t put a price tag on and having self-confidence is one of them. In this day and age, pre-teens and teens have many confusing options facing them. Having self-confidence means your child is less likely to participate in negative behaviors. It is our responsibility as parents to give our children every opportunity to make positive life choices. Many Barbizon’s have payment plans so be sure to contact the one in your area to see what payment options they offer. Can Barbizon help me overcome my shyness and low self-esteem? Maybe you cannot see yourself performing in front of a large crowd of people right now because you do not have the confidence. Barbizon can help you with that, so you can achieve all of your goals. Whether you attend Barbizon to pursue modeling, acting, or you just need to build up your confidence, Barbizon training is built upon self-confidence building exercises. After all, confidence is the base of success in modeling, acting and in life. I really want to model, but my grades are low. Can attending Barbizon help? Barbizon cannot guarantee that you will become a better student, but if all you need is confidence, a winning attitude or the right friends, Barbizon can make a big difference. My daughter always starts things and then doesn’t finish them. That’s all the more reason to enroll her in Barbizon classes. Females and males, particularly in their pre-teen and teen years, are starting to develop habits that they will carry with them for the rest of their lives. This is the time to start setting some positive trends, and Barbizon is a great place to start. Since the classes are fun and different each week, there is always something new and exciting to look forward to. I’ve heard that all models have to be tall, is that true? Fashion models in cities like New York and Paris are tall, but there are many other areas of modeling, particularly in smaller markets, where the height requirements are not as strict. Commercial models, for example, come in a variety of shapes and sizes. Barbizon teaches modeling and acting for people of all shapes and sizes because the industry accepts all shapes and sizes. If I enroll in Barbizon, will I become a successful model or actor? Just as attending Harvard Law School is no promise that you will become a successful lawyer. Barbizon cannot promise its students a successful career in modeling or acting. However, if you have what it takes to be a successful model or actor, we can help you reach that dream. Even if you do not pursue modeling or acting, the benefits of your Barbizon training will give you the skills needed to succeed in any career you may ultimately choose. What makes Barbizon different from other modeling and acting schools? Barbizon has been around since 1939 and is the industry leader in modeling and acting training centers. Not only do we offer the courses you want and need most, but we also offer state of the art industry professionals who have extensive experience in the modeling, acting, and personal development fields. I would really love to audition for you guys. What do I need to do? We are always looking for new faces. Our auditions and talent searches are held frequently by the local Barbizon Centers. You can find the one closest to you by visiting our location finder or call our corporate offices 1-888-999-9404. What is the cost of the tuition to attend Barbizon? Since each Barbizon location is independently owned and operated, the cost for the tuition varies. You would need to contact the local Barbizon School in your area or you can call our corporate offices at 1-888-999-9404. Why would I want to attend your school to become a model or actor? As in any craft, you are more likely to succeed if you arm yourself with the knowledge and experience in your industry. The modeling and acting industry is very competitive and you must be prepared and experienced to land jobs, Barbizon is a great place to get it. Also, many students take our personal development courses simply because they are looking to enhance their self-image and self-esteem.